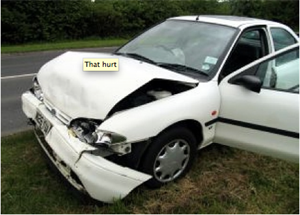 After being involved in a car accident, victims are often shaken up and not in their normal state of mind. However, what you do after a car accident is extremely important. The following steps will help to make the unpleasant experience of a motor vehicle accident go as smoothly as possible. In this article we'll discuss 6 steps to take in the event you are ever in a car accident.